Many people do not act positively to reduce the stress in their lives until physical symptoms force them to consider how their lifestyle is affecting their well-being. Don't leave stress unchecked or wait until it makes you ill. Learn to recognise when you are stressed and take steps to minimise stress and avoid additional stress. 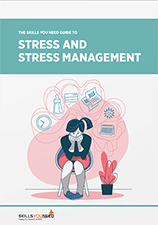 There are numerous steps that can be taken to reduce the risk of being affected by stress and many of them are a matter of simple common sense. This page contains some simple steps that you can take to help minimise or avoid stress. The page continues to suggest some techniques to help you relax, medical, complementary and self-help methods designed to alleviate the negative symptoms that stress can cause. If you are worried about your stress levels or are struggling to manage or avoid stress then it is important that you speak to your doctor or other health-care provider. Knowing what is likely to cause stress can help avoid such things in the future. Keep a record of what situations make you stressful and see how you might deal with them in other ways in the future. See our page: What is Stress? for more information about common triggers and symptoms of stress and anxiety. See our section: Relaxation Techniques to learn more. Effective time management allows the amount of work or other commitments undertaken to be regulated, reduces the uncertainty of not having enough time to complete every task required and allows for the planning of ‘time off’ periods in which to relax. See our pages: Time Management and Minimising Distractions. Do not over-commit yourself and be prepared to say ‘No’ if the load is too great. It is common for people to overestimate how much can be achieved in a particular space of time, so leave free time to cope with the unexpected. Plan time in the day to do something that gives you pleasure. Looking forward to such times helps when you have to cope with less pleasant aspects of life. See our page: Work-Life Balance. See our pages: Improving Self-Esteem and Building Confidence. Asserting yourself in a positive, non-threatening way can help to combat stress. Accept the demands placed on you only as a matter of choice. See our Assertiveness pages for more information. People are better able to cope with stress when their bodies are healthy. Poor health in itself is a major source of stress. Incorporating periods of physical exercise into your routine will help to improve muscle control, make you feel healthier and increase self-esteem. Try to improve your diet and avoid stimulants as much as possible. Excess caffeine or nicotine can make individuals feel anxious or on-edge. Also, ensure you get enough sleep. See our pages: The Importance of Exercise, Stress, Nutrition and Diet and The Importance of Sleep. Do not try to cope with problems alone. Having someone to share your problems can greatly help to ‘off load’ the stress. You might find it useful to talk to a friend or work colleague, or talk to your line manager or employer if you are experiencing stress in the work place. 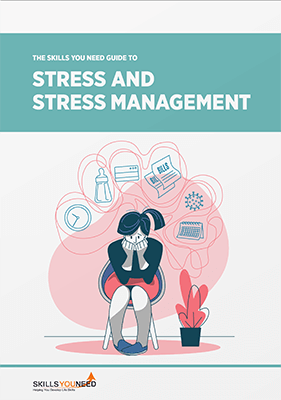 There many things you can do to help alleviate stress in your life, learning to relax and incorporating time to relax as part of your daily routine can help you to manage the symptoms of stress. By considering the approaches outlined below, you will be able to think about and experiment with what works best for you. Which approaches are most effective in relieving both the causes and symptoms of your stress? Once learned, self-help relaxation techniques are particularly useful as they are available to the stressed individual whenever the need arises and allow one to gain control over feelings and anxieties. Perhaps the most powerful method of relaxation is mindfulness. At it's simplest mindfulness is focusing on the current moment, the here and now and allowing, through a type of meditation, worries about the future or regrets about the past to melt away. See our page on Mindfulness for more information. Creative Visualisation: You are encouraged to imagine yourself lying in a cornfield, in a hammock by the sea, sitting in a deck chair, or anywhere you feel relaxed and to hear the sounds of the trees, wind and waves. Being immersed in such an idyllic scene induces a state of relaxation and tension should drain away. Quieting: Aims to provide a way of diverting the mind from stressful thoughts by focusing on more relaxing emotions: for example, chanting, focusing on breathing, counting things such as instances of a particular colour. The traditional ‘counting sheep’ when trying to fall asleep can be seen as a form of quieting. Progressive Relaxation: This involves tensing and then relaxing each part of the body in turn, working up through the whole body until completely relaxed. This technique takes about 20-30 minutes to complete and is very effective at bringing about physical relaxation. See our page: Relaxation Techniques for a full description of progressive relaxation. Tension Recognition: One form of this therapy involves intentionally clenching groups of muscles in successive areas of the body, for example the hand, shoulders and stomach, concentrating on the tension, feeling it, and then relaxing. The aim is to encourage the recognition of tension when it occurs and to voluntarily relax the muscles when they tense. However, with the very highly stressed, this form of tension recognition could possibly lead to muscle cramps so a second version is preferred. This alternative approach involves stretching rather than tensing the muscles and requires some knowledge of human musculature. Successive muscles are stretched so that opposing muscles contract, and the process is then reversed. The aim is to find the half-way point, where opponent muscles are balanced, and then to relax further. Tension recognition methods are useful in situations where it is not easy to ‘switch off’ external events such as working at a desk or in meetings. Breathing Exercises: These can be used to help relax the entire body as tension leads to breathing too rapidly. Such techniques teach the individual to breathe calmly and deeply and encourage awareness of bodily tension. The symptoms of stress can sometimes be relieved by prescription of medication. Very often such drugs are prescribed to treat the immediate symptoms of stress or to help the sufferer get through a crisis. Medication will not necessarily address the causes of stress in the long term. Medication may also lead to dependence, if you think you need medication to help with your stress discuss your options carefully with your doctor or other healthcare provider. You should also speak to your doctor if you think you may be depressed. Depression is a serious illness but common and curable, for more information see our pages: What is Depression?, Types of Depression and Treatments for Depression. Many people have a great interest in complementary and alternative therapies when attempting to control stress. Most people suffer from stress at some time in their lives. An understanding of the causes of stress and learning to avoid stressful situations will help alleviate some of its negative consequences. Some people may also find it useful to use one of the many techniques or other approaches to relaxation to help manage stress themselves.